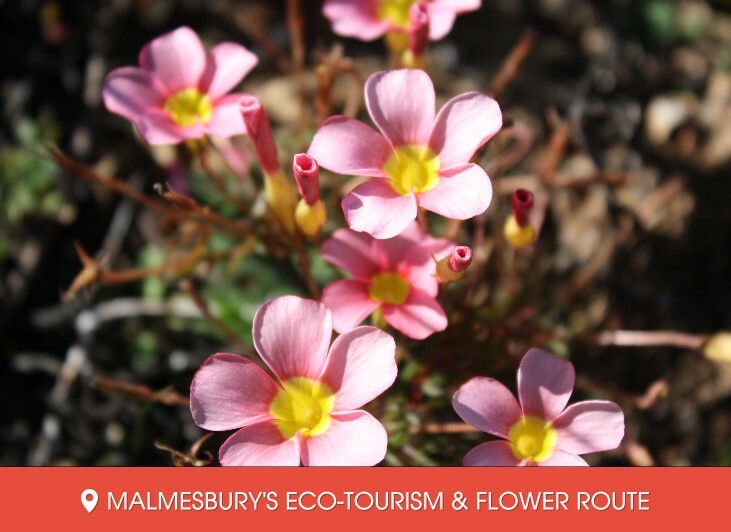 Malmesbury's Middle Swartland Eco-tourism Route is unique in the sense of its highly diversified agriculture activities. 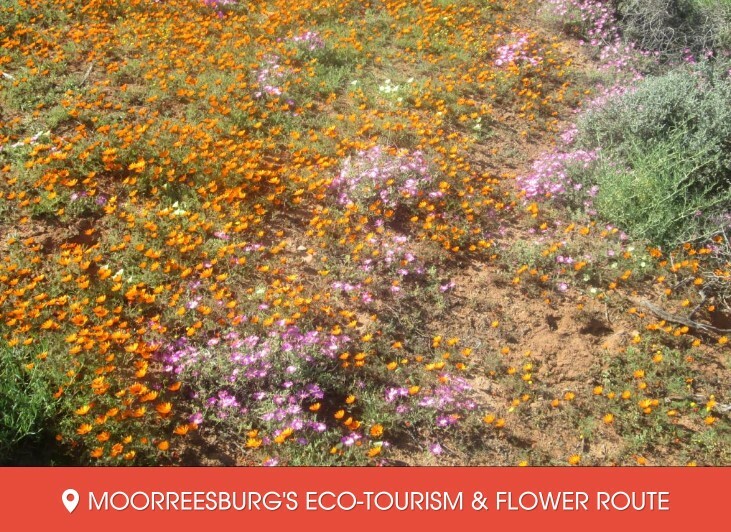 Another interesting Agri-tourism destination is Lowensvlei Flower Farm or Fynbos Estate's Nature Reserve. 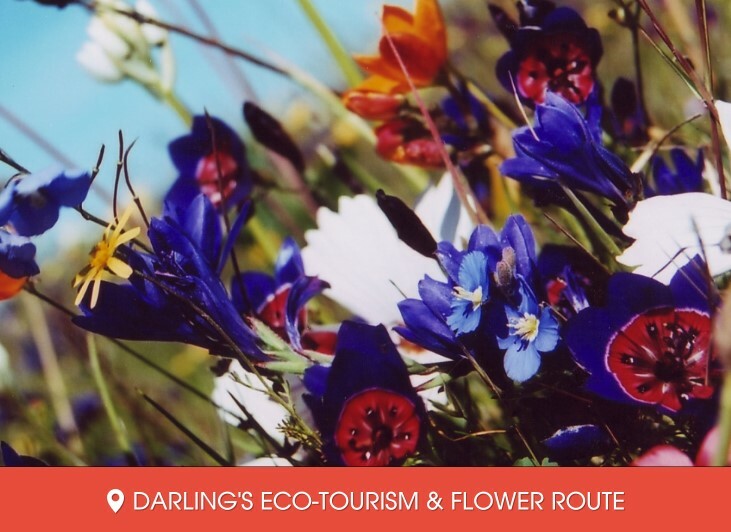 Darling is known as the flower of the West Coast, and the abundance of flora and natural flowers is undoubtedly its biggest asset. 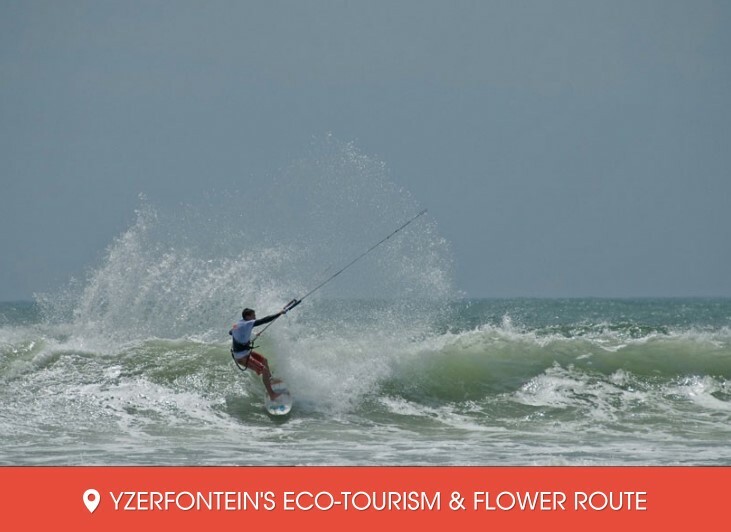 Routes include the !Khwa ttu, Buffelsfontein Game & Nature Reserve & The Darling Wildfower Society. 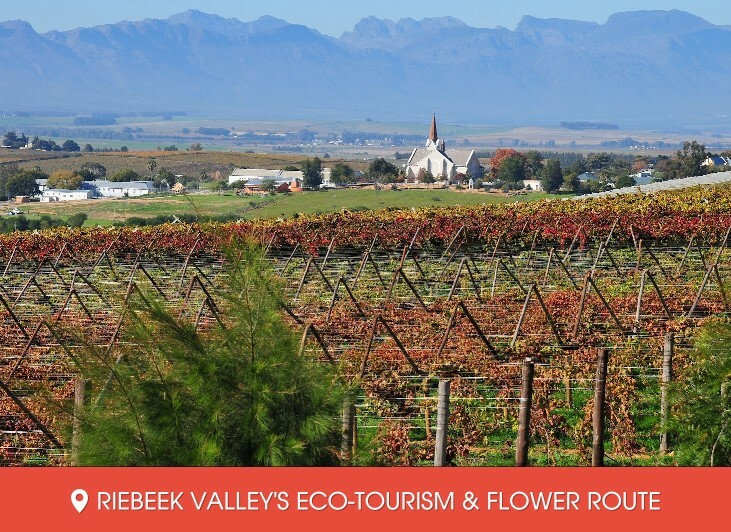 Incorporating the towns and areas of Riebeek West, Nestling on the slopes of its own mountain, the dramatic Kasteelberg, the surrounds are wheatlands, vineyards and olive groves - creating a distinctive touch of the Mediterranean. Its friendly people, fresh air and tranquil country atmosphere is ideal for Hiking Trails. The more energetic should try their hand at clay pigeon shooting or watersports on the Berg River or Misverstand Dam. As a coastal fishing village with a small harbour, it’s friendly and welcoming. Ideal for watersports, Hiking on the Bokbaaivygie and Blombosch Trails and is close to The West Coast National Park where you can see thousands of seabirds roost on sheltered islands.